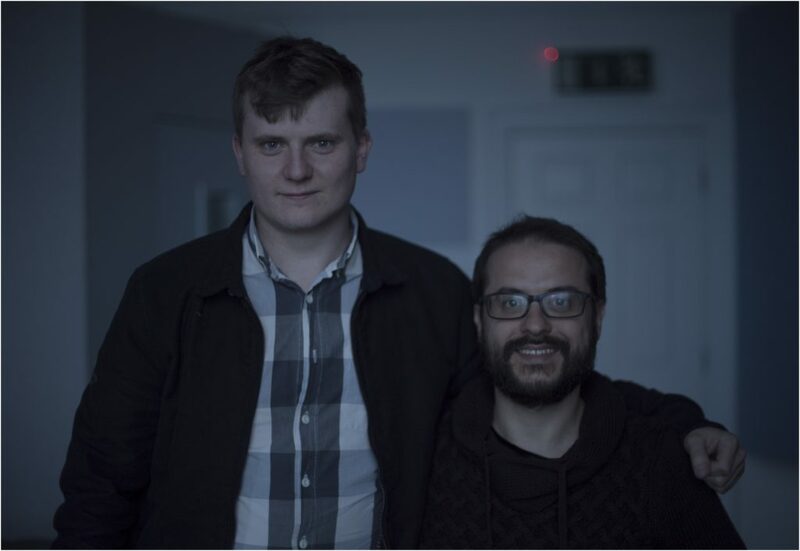 After 4 days being inside a dark room with colourist Eoghan McKenna and director Al Díaz at Promenade Post in Dublin, we can say that Exhalación is “image” finished. Time for the composer and the sound designer to polish their magnificent work. Below you can take a look at two happy people. Eoghan McKenna on the left-hand side and Al Díaz on the right-hand side. I’m looking forward to seeing Exhalación being released, it is a beautiful piece of art with a very different look and I am pretty sure that Al is going to be delighted when he watches it in cinemas.